Update: Moodle 2.7 is now using Clean theme by default, therefore this is not applicable anymore. Moodle in their release page, mentions one of their new updated main feature is the responsive design. I am getting excited, because with this new responsive design, user experience will be enhanced as the site will be responding to the device screen resolution size. But when I tried to install into my local development by downloading their latest stable release, the resolution is not changing based on the page size! Tried to access it using my mobile, and it still showing the same non responsive design. Then I tried to look the setting, under appearance, to see whether I need to enable responsive design setting first, but no luck. I can not find this setting anywhere. 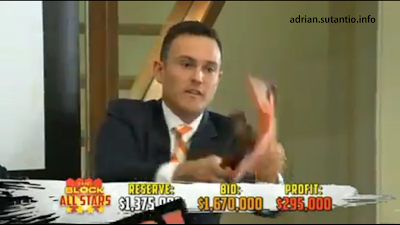 Wondering which real estate agent did action for The Block All Star 2013 and what was the outcome? And good news for you that live in Victoria, I just passed by Biz Motel some while ago at Park St South Melbourne, and saw a big The Block sign. There are lots of TV crew around the property later on the day, made me wonder is this going to be part of The Block 2013 All Star?